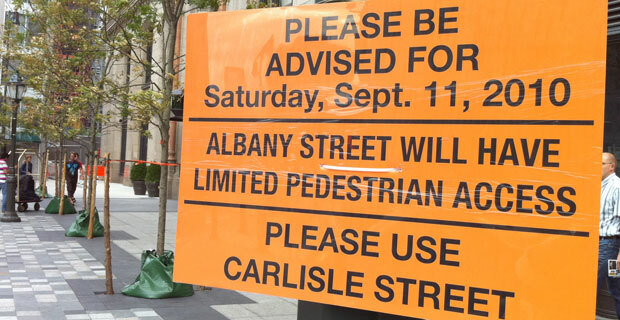 Please note, both the Vesey Street and Liberty Street pedestrian bridges will be closed on Sunday, September 11th. To cross West Street, pedestrians will be directed north to cross at Warren Street or south to cross at Rector Street. No parking will be in effect on all closed streets, including official permit parking. All cars parked illegally will be towed. If you have further questions, please call 311 or visit www.nyc.gov.